Practice your letters and build fine motor skills at the same time! 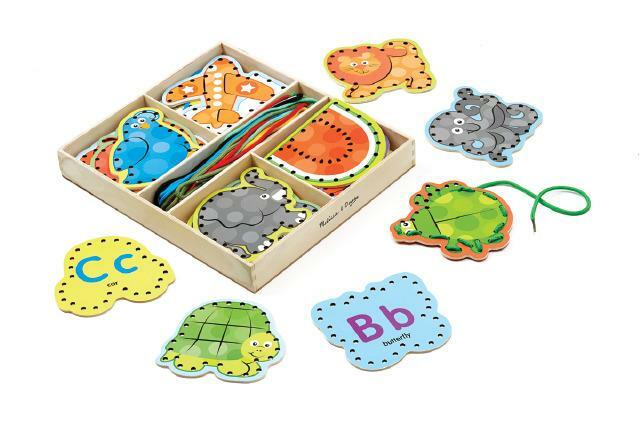 This value-packed learning set has a shaped lacing board for every letter of the alphabet. Each one features a colorful illustration on one side and a label on the back, complete with oversize uppercase and lowercase letters. Dimensions: L: 2" x W: 12" x H: 11"